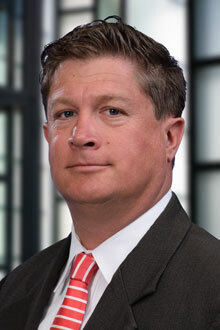 Judd Uhl is the Managing Partner of the firm’s Kentucky office. Judd handles all types of insurance defense cases. He has first chair trial experience and has obtained successful verdicts in dozens of cases including wrongful death, product liability, premises liability, trucking, bad faith, long-term care, and malpractice. In 2009, Judd was lead trial counsel for the target defendant in the longest civil trial in Cincinnati history – Patrick McCarthy vs. Sterling Chemicals, et al. The case involved a defective weld on the manway assembly of a railroad tanker car which Plaintiff alleged separated when the car was pressurized during the unloading process. The accident resulted in the Plaintiff being left in a persistent vegetative state. After a four month trial, the jury returned a defense verdict. Judd is a member of the Association of Defense Trial Attorneys (ADTA). ADTA invites only one defense trial attorney to be its prime member per one million in population for each city, town, or municipality across the United States, Canada, and Puerto Rico. Mr. Uhl has tried over 40 First Chair jury trials to verdict in Ohio and Kentucky.